I know it is neither Tuesday nor Thursday but I am so very very very annoyed with the new comment system that blogger has implemented. 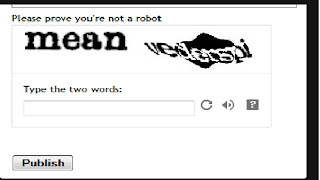 I am absolutely fine with typing one word "to prove" I am a human but two? Are you seriously frigging kidding me? Those images are almost always impossible to read.Maybe Google is being paid by someone to make everyone squint and increase the Doctor's practice?! Hmm. Lots of money in it, I am telling you. Now, have you noticed a certain decrease in the number of comments on your blog, specially if you use the commenting system that comes with blogger? Well, it is mainly because the world is full of lazy people like me and sometimes it is just not possible to make out what the hell the Captcha image reads. For those who don't know, captcha/captcha images are those words/characters that flash on your screen when you try posting a comment.It serves the purpose of ensuring that a human is writing the comment and not some spamming program trying to sell you a botox/fertility treatment or wanting to transfer 1,00,000,000,000 of money in your account. Now, I know you don't want messages like that displayed on your comment box but there are other ways.More importantly, a lot of *people* post the spam messages, so yes, they can read the captcha and post the comment but Google has a filter and whenever any suspicious looking link/word is posted, it automatically goes into the spam folder(even in blogger). There are other alternatives settings which you can implement, which will makes life of poor souls like me who don't want to end up with a squint but still want to comment on your blog, much much easier! First of all, go the old blogger interface(you can do this by clicking on the setting button, pointed in the picture below and choosing the option to use the old blogger interface). This is how the old interface looks. In WHO CAN COMMENT? 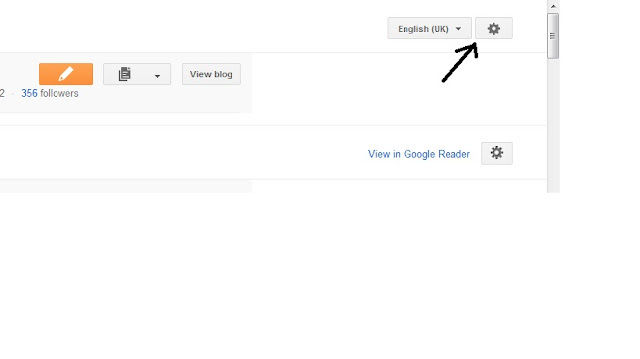 Use the Registered user option as it is the safest.If you choose nothing, this is the default option. With Moderation and No Captcha: Pick Always/ Only on posts older than 14 days(as per your need) and pick NO in show word verification for comments.Click on Save Settings. Using this, you'll be able to control the comments so that nothing unwanted gets posted and your readers will be happy to get rid of the need to type two words too!